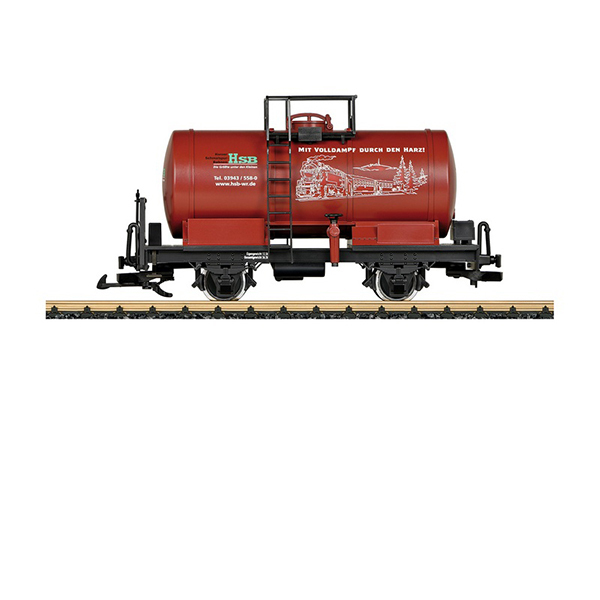 Product: This is a model of a fire extinguishing water car as used on the HSB. The paint scheme and lettering are prototypical for Era VI. The tank can be filled and emptied. The car has metal solid wheel sets. Length over the buffers 30 cm / 11-13/16". This fire extinguishing water car is a standard gauge car, which is always loaded on an HSB roller car in order to be moved quickly to the site of any fires. These HSB roller cars are available separately.